Friendship day: On the first Sunday of August, most people come together to celebrate Friendship Day with their BFFs. This year, it will be celebrated on August 5. Read more about the history and significance of the day. While we have specific days dedicated to our mothers, fathers and siblings, it is only fair to celebrate the beautiful bond of friendship. Friends are the family we choose — therefore, they hold a significant place in our lives. It is a relationship that begins when two people share their happiness and sorrows with each other and spend time together. Every year, on the first Sunday of August, most people across the world come together to celebrate this day with their BFFs. This year, it will be celebrated on August 5. Friendship day celebrations actually take place on different dates across different countries. In Ohio, Friendship Day is usually celebrated on April 8. After the World Friendship Crusade proposed July 30, 1958 as the first Friendship Day, the General Assembly of the United Nations declared this date as the official day of celebrations. But nowadays, it is celebrated on the first Sunday of August, including India and US. Interestingly, the first International Friendship Day was proposed in 1958 in Paraguay. Friendship day was originated by the founder of Hallmark cards, Joyce Hall, on August 2, 1930. Before that, this special occasion was promoted through greeting cards, but later on, people realised it was a scheme to increase consumerism. Following the success of the day in US, Nane Annan, the wife of UN Secretary-General Kofi Annan, declared Winnie the Pooh as the global Ambassador of Friendship at the UN in 1998. 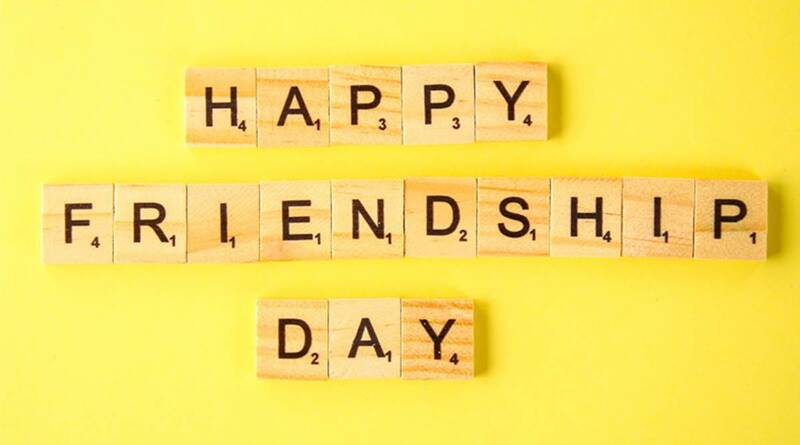 ALSO READ| Friendship Day 2018 Date: When is Friendship Day celebrated in India? On July 20, 1958, Dr Ramon Artemio Bracho came up with the idea of a World Friendship Day during a dinner with his friends in Puerto Pinasco, a town in Paraguay. Ever since then countries like Paraguay and Brazil celebrate the occasion on that day. People in India, Nepal, Bangladesh and South American countries, celebrate the day by gifting each other colourful friendship bands and flowers. Celebrating the bond of friendship dates back to the epic Mahabharata that was written during the 4th Century CE. The celebration of friendship day took place in the province of Ayodhya. It occurs when Lord Krishna’s friend, Sudama arrived in his kingdom after a long journey. How will you be celebrating the day? Let us know in the comments section below. 1 Friendship Day 2018: How is Friendship Day Celebrated? 3 Friendship Day 2018 Date: When is Friendship Day celebrated in India?